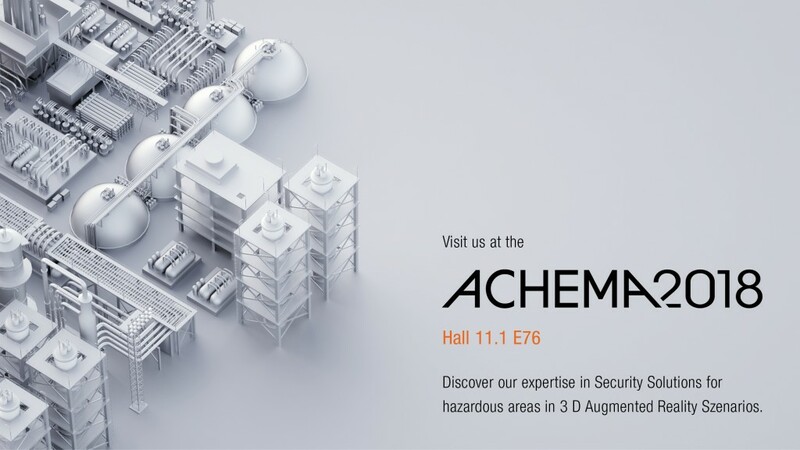 BARTEC Group will be taking part in the ACHEMA – World Forum and International Trade Fair for the Process Industry – in Frankfurt / Main, Germany. From the 11th to the 15th of June, the fair will take place at the exhibition Center in Frankfurt am Main. BARTEC experts will welcome visitors and inform them about the Company latest innovations, customized Solutions and in general, about Ideas for solving Customers’ needs. BARTEC will be represented in Hall 11.1 on Stand E76. The entire team of the BARTEC Group will be looking forward to a meeting you at our booth. Visit us at our booth. We are looking forward to sharing our experience with you. For more info, visit the exhibition web site.